I love Ian Fleming. I really do. He’s got a gift for storytelling, he has the English language wrapped around his little finger, and perhaps most importantly, the man has an impeccable sense of style. That being said, From Russia with Love had a love to live up to. This book is undoubtedly a modern classic. It’s probably the most famous in the James Bond series (possibly because JFK once mentioned it was one of his favorite novels; looking back on it JFK’s love of 007 probably makes more sense than the public originally realized). I have to admit, when I cracked it open I was a little afraid of being disappointed by it. Thank God, I was so many levels of wrong. From Russia with Love is undoubtedly the best in the series so far. It takes the finesse of the four previous novels, kicks it up a notch and delivers one of the most smashing spy thrillers I’ve ever read. Time for me to gush about how riotously spectacular this book is. First off, the title is an absolute home run. No discussion. After that, the first 100 pages take the reader deep inside the sinister planning cabinet of SMERSH, and it’s clear from Fleming’s knowledge and confidence as a writer that he’s got experience to support the kind of detail that from any other writer would feel speculative at best. Interestingly, Bond himself doesn’t even appear until about a third of the way through the book. As a reader, you feel his absence acutely – not because the story’s boring, but because you have a growing sense of dread as the trap being laid out for him begins to take shape. 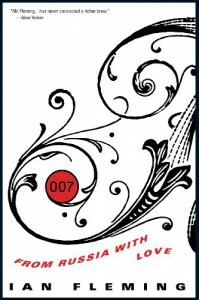 From the very beginning of Bond’s part of the story, there’s a sense of inevitable doom, and as each page turns the SMERSH plot seems to slowly close around him, like a venus flytrap. He doesn’t stumble blindly into it, of course, but nor does he fully understand what he’s walking into. For those of us who already know and love Bond, those who are meeting him for the first time and especially, I would imagine, those who were reading it when it was first published without the comforting knowledge that there would be a sequel, ‘tension’ doesn’t even begin to cover it. But that alone isn’t what makes this book wonderful. It’s also perhaps the most geographically rich book in the series (so far). Bond is no stranger to exotic locales, but his adventures in Istanbul are almost more akin to the hi-jinks of an Indiana Jones movie than the city-slicker, money-to-burn explorations of the first four books. From rat-infested tunnels below the city to a naked wrestling death-match in a nearby gypsy camp, From Russia with Love is a story stepped in rich cultural detail. And then there’s the train. Oh, the train. 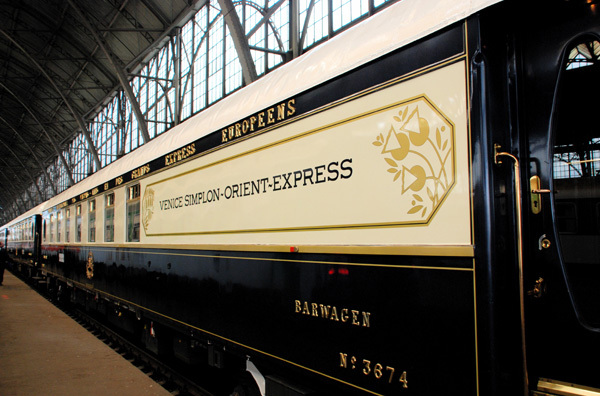 I may be a little biased here, because I LOVE trains, but all the action on board the Orient Express is made much more exciting by the sheer forward momentum of the journey. I could go on about this for ages, but I won’t. Once Bond is off the train and ostensibly out of danger, it’s still almost impossible to relax, and with good reason – it all seems a little too easy. SMERSH isn’t quite so easily duped, and to the very last page, Bond and the reader are both waiting for the other shoe to drop – which it finally does, with (possibly) fatal results. The ending is a cliffhanger of the highest degree. The only reason I’m not already reading Dr. No is because I left it on the mainland and won’t be back there for another two weeks. Really, I could stop here, but I think it would be remiss to write a Bond review without mentioning the girl. Tatiana Romanova is not, at first, too terribly different from the other women who have come and gone in James Bond’s life (Fleming clearly had a penchant for women with blue eyes). 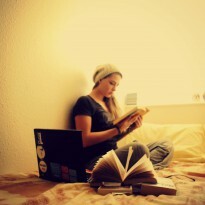 But unlike the other girls, the reader gets a much more intimate idea of what’s going on her head. She appears before Bond does, and you can’t help but wonder when she’s going to realize that she’s being lured into a trap as much as Bond is. Unfortunately, she doesn’t get to see much action. This is really a shame, because Fleming goes out of his way to explain how intelligent she is. I for one would have liked to have seen her take a more active role in the story, considering she’s unconscious or absent for the most crucial scenes in the book (this is honestly all that’s keeping me from giving this one a five-star rating). I liked her, though, and in the end the story really isn’t about her – she’s just another one of SMERSH’s pawns. It should have been the Arabian Nights, but to Bond, seeing it first above the tops of trams and above the great scars of modern advertising along the river frontage, it seemed a once beautiful theatre-set that modern Turkey had thrown aside in favour of the steel and concrete flat-iron of the Istanbul-Hilton Hotel, blankly glittering behind him on the heights of Pera.